Factory supply best synthetic fiber premade fans eyelash extensions with wholesale price.Premade fans volume eyelash extensions is a newest and amazing treatment for customers who want more glamorous in their lashes.The most soft multiple lash extension are apply to each natural lashes with different fans,2D/3D/4D/5D/6D/7D/8D/90D/10D/20D, these are many different types of volume lash designs,using this way,we can make sure all the soft and light volume eyelashes can applied to each individual natural lash,but not heavy or unnatural and not damage the natural lash.All the eyelashes we offer to our customers are made of best synthetic fiber, and we have our own factory in chins, the price is the wholsale price. 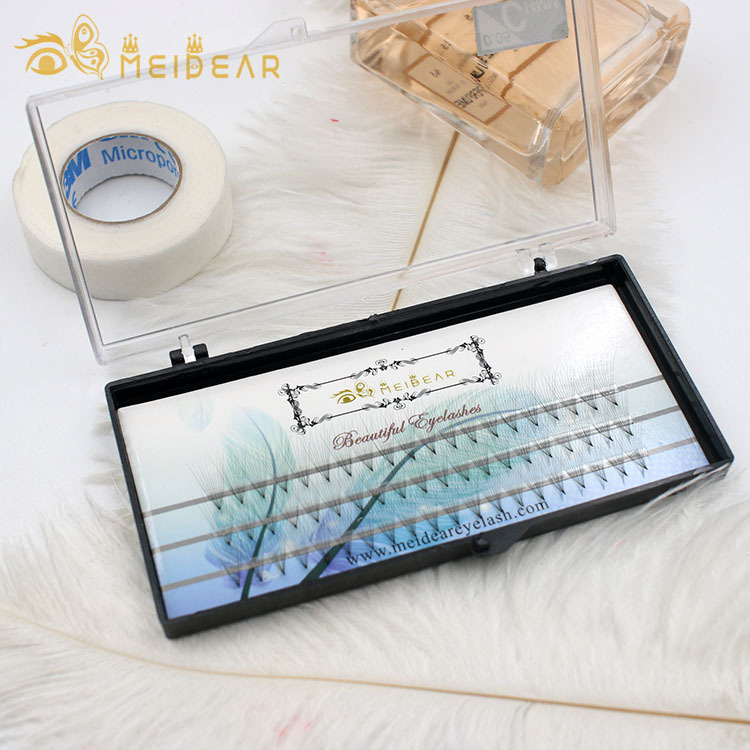 Our company volume eyelashes will give you luxuriously full,feather-soft,fluffy and glamorous looking,our eyelashes are come in 0.05mm, 0.07mm and 0.10mm diameters.They are very perfect for customers who desire natural-looking eyelashes with lots of volume prefan volume eyelashes. 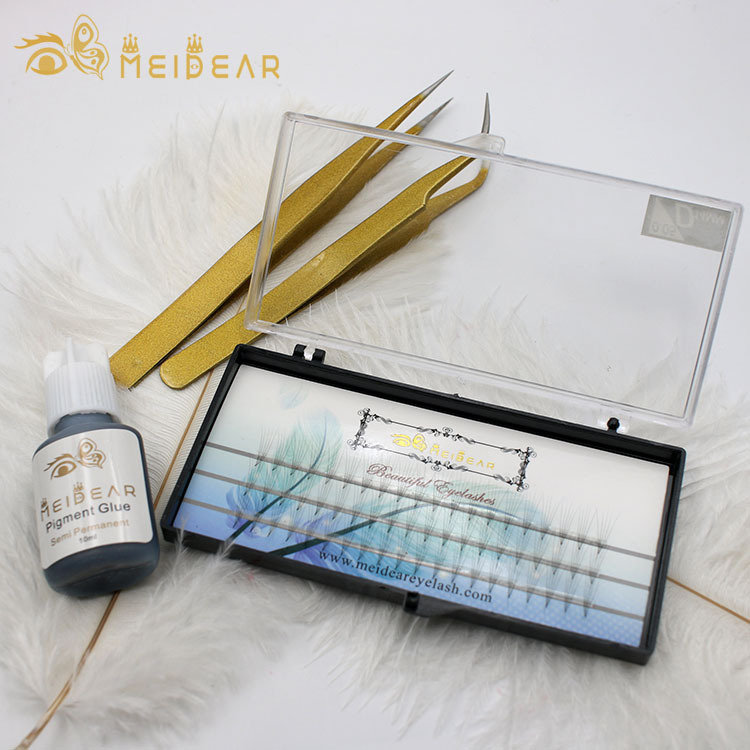 Volume eyelashes are fluffier and softer to the touch than classic lash extension, they are great for people who want many fullness sets of lashes which look natural. With Meidear lashes can help you achieve that full and glamorous looking. They can allow you to give your lash-challenged clients that boost in lash volume they are wanted. Our lashes are feathery-soft and extremely lightweight. Our eyelashes will no damage to you own natural lashes. 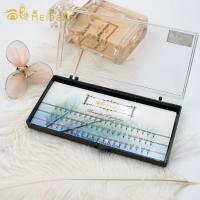 Volume eyelashes are more flexible and place less on the natural eyelash. You will feel lighter and very comfortable than traditional lash extensions. 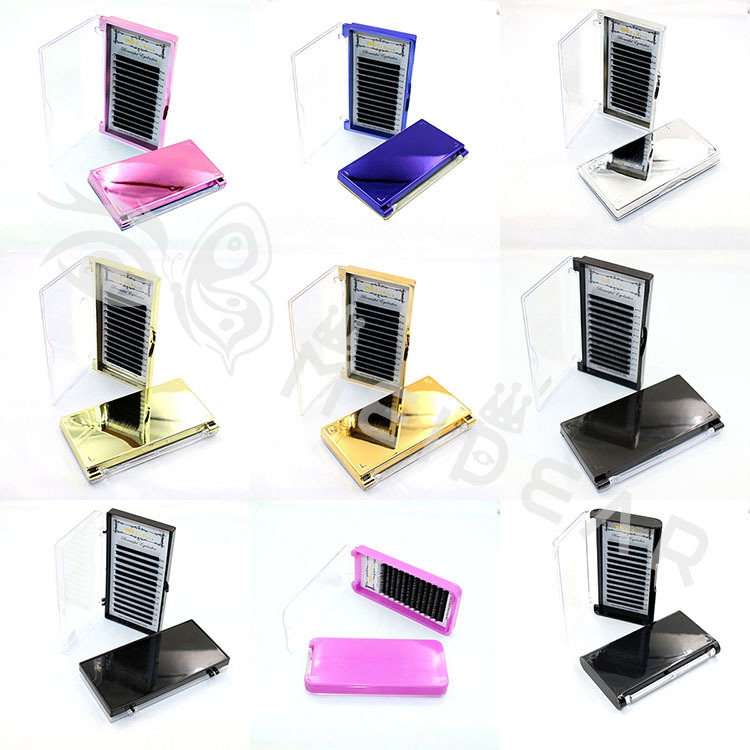 If you have your own package, please feel free send to us then we will make it for you.If you don’t have your own package, we have package catalogue with different style color and material, you can chose from the catalogue, then we can talk what’s words and logo you want to print on the package. Meidear will help you to design your own package with your logo to expand your own brand. 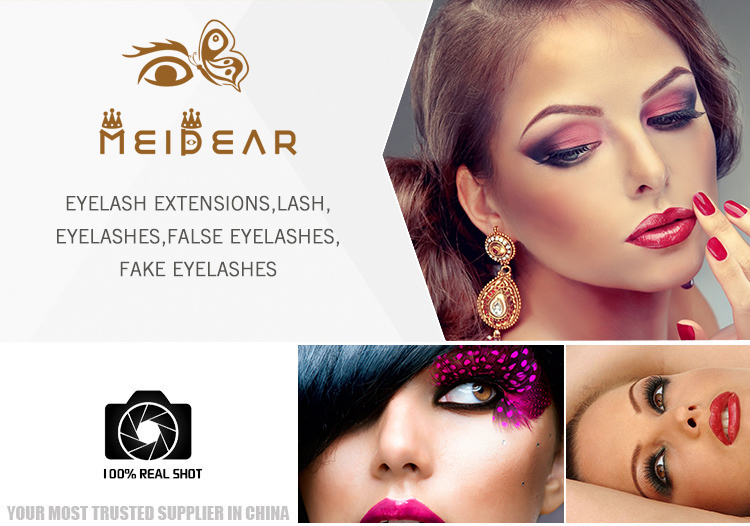 Meidear is not an eyelashes supplier only. 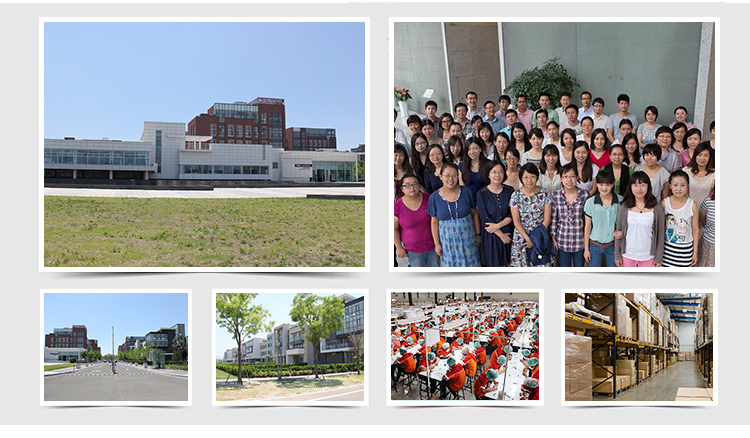 Let us work together, we have many things can do for you.